Brandon Heffinger is the Founder and Director of the Veterans Legal Clinic and an Adjunct Professor of Law. 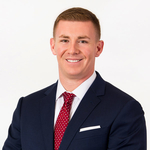 Brandon currently practices law at Smith, Anderson, Blount, Dorsett, Mitchell & Jernigan, LLP in Raleigh, NC, and he formerly practiced law at Alston & Bird, LLP and served as a judicial law clerk to the Honorable Richard Voorhees in the U.S. District Court for the Western District of North Carolina in Charlotte, NC. Prior to law school, Brandon served as a Marine Corps officer, including tours in Iraq and Afghanistan, and he continues to serve in the Marine Corps Reserve. Brandon holds a B.A. in political science from the University of North Carolina at Chapel Hill, a J.D. from Wake Forest University School of Law, and an M.P.A. from Harvard University’s John F. Kennedy School of Government, where he was also a Zuckerman Fellow at the Center for Public Leadership. 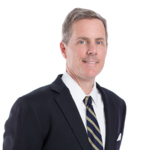 Chris Geis is an adjunct professor of law and a partner at Womble Bond Dickinson (US) LLP in Winston-Salem. He holds the rank of Commander in the U.S. Navy Reserve and is a judge on the Navy-Marine Corps Court of Criminal Appeals in Washington, D.C. Chris is a veteran of Operation Enduring Freedom and has deployed to the Middle East twice since 9/11. He graduated with honors in 1998 from Wake Forest University School of Law, where he was a member of the Law Review and Moot Court. He is a 1988 graduate of Western Carolina History, where he was a history major and Dean’s List student. Before attending law school, Chris was a newspaper reporter and editor. Darryl Walton is the clinical fellow for the Veterans Legal Clinic and Community Law Clinic, as well as, the Dean’s Fellow. He graduated with a J.D. from Wake Forest University School of Law in 2018 and a B.S. in Political Science from the Massachusetts Institute of Technology in 2010. Prior to law school, Darryl operated an educational coaching and consulting business helping students (elementary through college) navigate academic and logistical challenges.